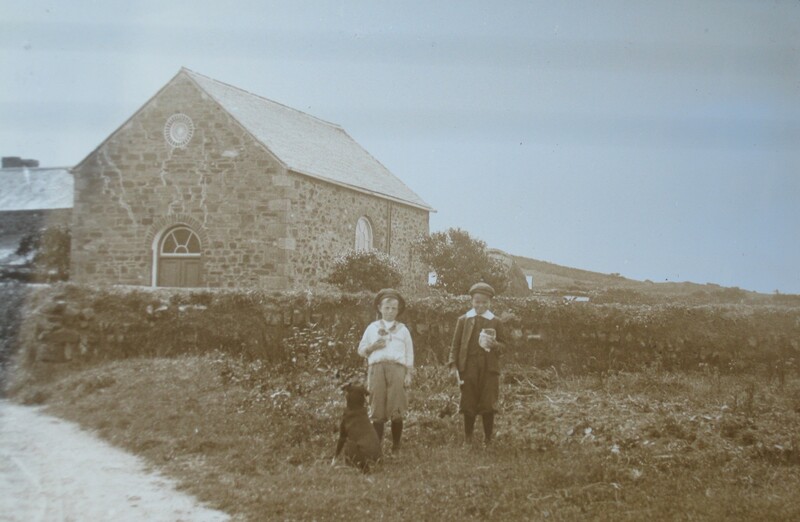 The Museum has acquired through eBay a magic lantern glass photographic slide of Higher Ball Chapel with two mischievous, laughing boys, possibly eating pasties, and a black dog in the foreground perhaps waiting for a piece. We are not sure of the date, but hope that someone can identify the boys. 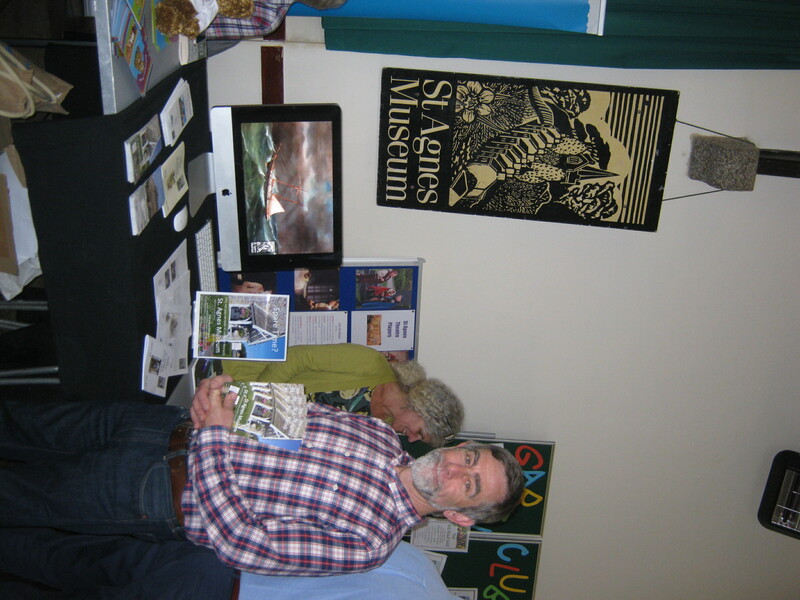 Despite the chilly east wind, business was brisk at the Museum’s Spring Coffee Morning in the Church Hall on Saturday 13 April. 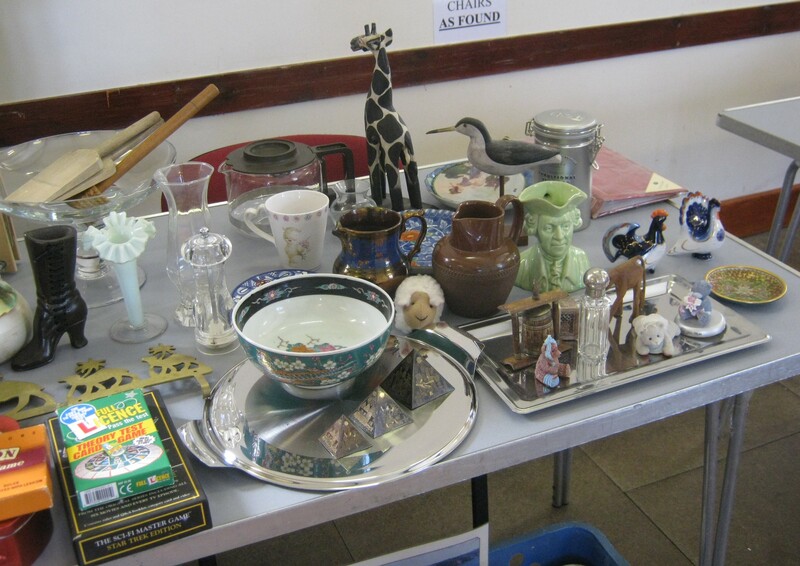 The raffle and the Museum shop both did particularly well and overall, £455 was raised for Museum funds. Shown here is part of the eclectic mix of bric-à-brac on offer. In addition, Membership Secretary, Mary Wilson, took £35 in subscriptions and welcomed three new Members, raising a further £25. The Museum would like to thank everyone who contributed in any way. 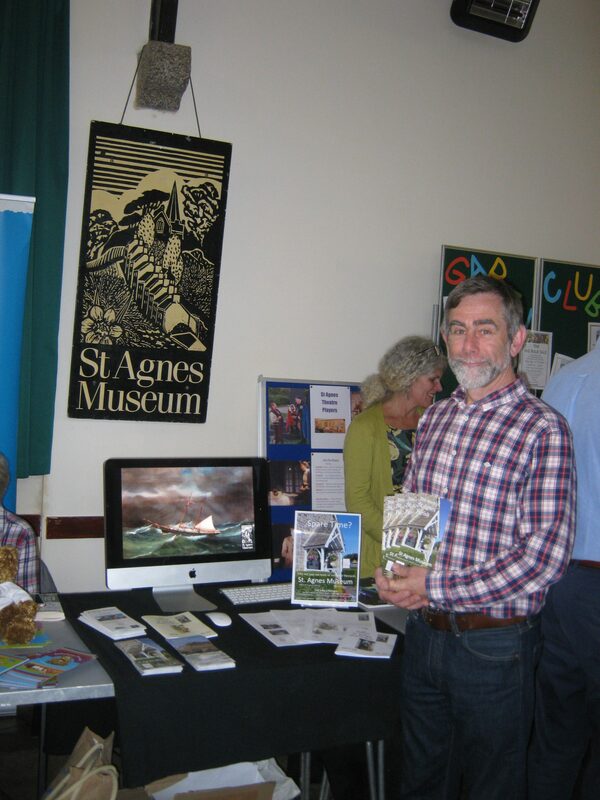 Our Chairman, Roger Radcliffe, had created a wonderful continuous 10-minute display of photos of all aspects of Museum and St Agnes life on his computer for our stand at the first ever “Health/Activities/Wellness Day”, organised by the Patients Participation Group at St Agnes Surgery, and held in the Church Hall on 11 April. The hall was packed with stalls, each with someone to explain how their group could help with health, activity or wellbeing. Roger manned our stall with a little help from Mary Wilson and Liz Thompson. We hoped to promote volunteering (preferably for the Museum!) as a way to increase a sense of wellbeing. Although we didn’t sign any volunteers or new Friends on the day, we distributed leaflets, answered questions and enjoyed watching the photographs with many locals. 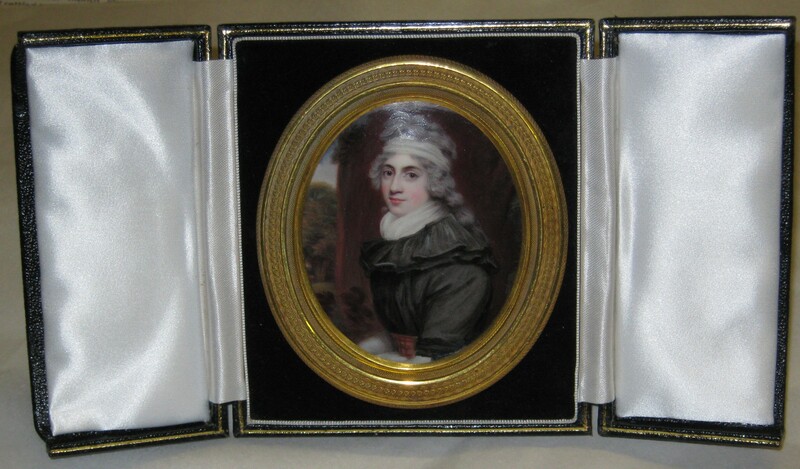 St Agnes Museum is deeply honoured to have been lent this beautiful miniature of Mary Bunn, first wife of John Opie, “The Cornish Wonder”, painted in 1794, by Truro born Henry Bone RA (1755-1834). Arguably the greatest enamel painter of all time, he became the official royal enamelist to George III, George IV and William IV. It is believed that, for this miniature, he copied a painting of Mary by John Opie which has since been lost. Mary and John later divorced. The miniature is displayed in the Museum’s Opie cabinet alongside a superb John Opie self-portrait, his palette and paintbox, and four works by his great nephew, Edward Opie. 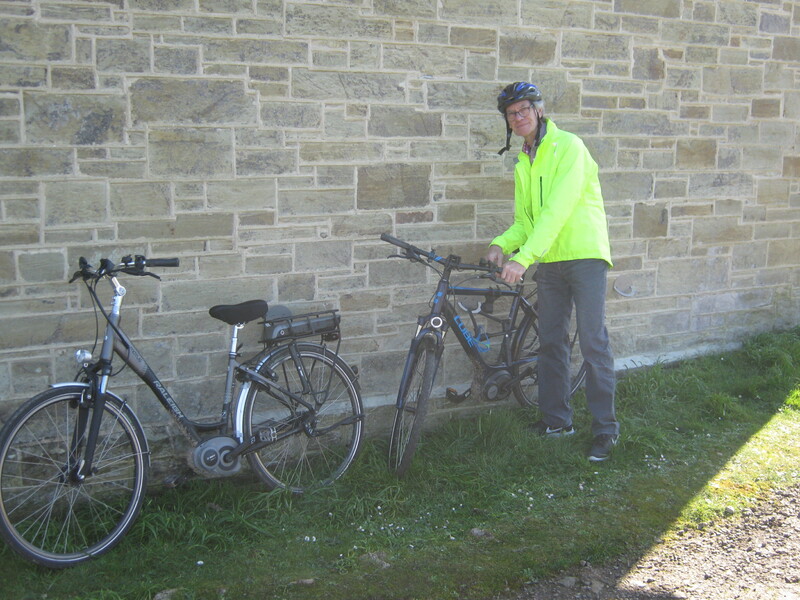 St Agnes has signs on all its approach roads welcoming cyclists and the Museum has done its bit by fitting three cycle anchors to the north wall of the Museum. Here, Steward Rota Organiser, John Oaksford, is using an anchor as he arrives for the Stewards’ Training Afternoon.